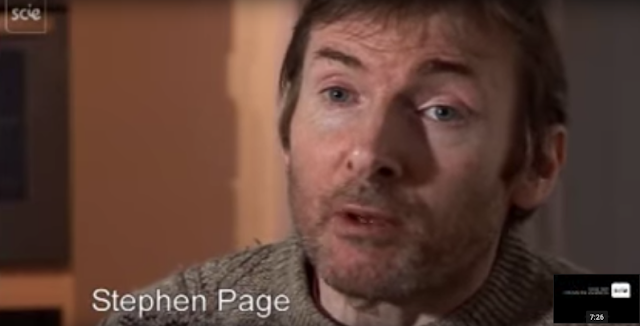 This video introduces Stephen Page, a man with MS. He emphasises how important it is that he can relate to his PA and chat with her as well as receiving personal assistance and help with basic tasks. Maintaining his social and cultural life is very important to Stephen and having a personal budget has enabled him to continue to attend events which help him to lead his chosen life and preserve his personal identity. He is a creative and talented person who needs to maintain his interests and activities for his own well-being. Stephen emphasises that personalisation can support people as individuals. Personalisation is about the dignity and well-being of the individual. Delivering personalised services will mean different things to different people – it’s about self-determination and self-directed care. The relationship between social workers/PAs and service users should be based on respect and a recognition of equality. Understanding the individual, their interests, background and personal history is crucial for developing person-centred support – people don’t just need support to help with personal care and tasks such as shopping and cleaning, but also so that they can maintain their social and cultural life. Relationship-based support is essential to delivering personalised services and helping an individual preserve their social relationships and activities, interests and personal identity.